Dale Earnhardt Jr. has been a phenomenal driver and the highest paid popular driver for an entire decade ever since his debut in 2000. He has been an idol for Nascar fans and has been the brand ambassador of the Nascar merchandise for the past ten years and has earned 35% of the total sales made. However, even though Dale Jr. has not been on the top of his game off late, he still has a great fan following perhaps owing to the fame that he has created over the years. Whether you agree or you do not, Dale Jr. is undoubtedly the greatest in the driving sport so far! Earnhardt has definitely created a record for himself as being the highest-paid driver for the fifth year in a row in the sport and has a net worth of $25.9 million (in 2012). He has upped his ante with his track performance and won the Chase in 2011 and 2012 after having missed the cut in the previous two years. Dale Jr. also had a good head start in 2013 as he finished first in three of the top 10 finishes. It is estimated that he earned around $12.9 million which includes his salary and prize money that he shared with Hendrick Motorsports. Earnhardt went on to sign a contract in 2011 that extended his association with Hendrick. This will ensure that he is a part of the most competitive Nascar team till 2017. However, what places Earnhardt notches above others are his earning made off-the-track which amounted to 13 million dollars in 2012. Although his licensing income has reduced significantly, as has been the case elsewhere, he still generated the highest in his sport in 2012. The icing on the cake is the income that he derives from his various endorsement deals like Wrangler, Nationwide, Goody’s, Chevy. 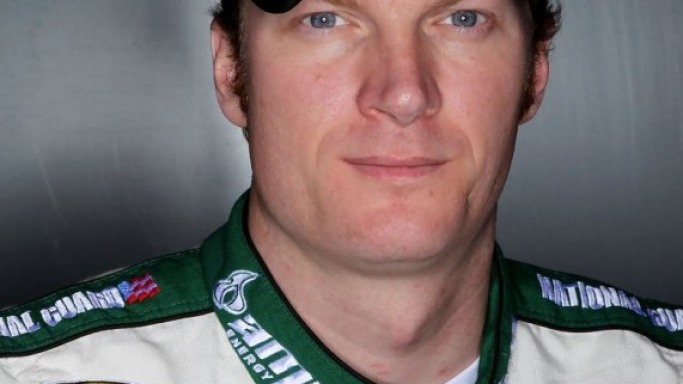 He has also partnered with KLN Family brands to create Dale Jr. Foods. In fact, Hendrick has another star driver, Danica, who has already shot to fame and has a lot of endorsements and off-the-track earnings to her advantage. Nascar has introduced a 5-year action plan in 2012 with six core initiatives out of which one is “driver star power” that would place their drivers in the limelight. Undoubtedly Dale Jr. and Danica have a great public persona and are huge stars which will definitely bring in more money to Nascar!